Altronics has retail stores in Perth, Sydney, Melbourne and Brisbane. Maintaining a high level of customer service means we have to have the right person to assist customers. If you think you have what it takes to offer exceptional service to our customers, drop us a line. We are always happy to accept CVs and Resumes on behalf of eager recruits. Altronics parent company Altronic Distributors also employs many staff within the wholesale division in sales, marketing, purchasing and logistics. 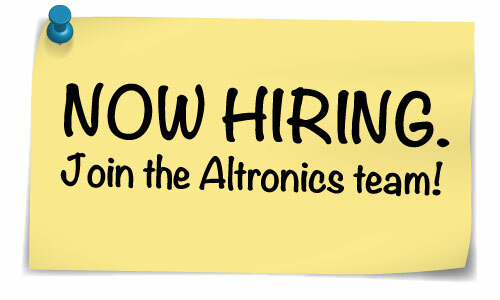 To apply, please send your information to Altronics head office at 174 Roe St, Perth, WA 6000. Or drop it into one of our locations.